Contemporary painter, ZHENYA XIA will have a solo within Art Miami’s Context show. Zhenya’s paintings incorporate a strong contrast between calculated clean lines and textural layers of color. 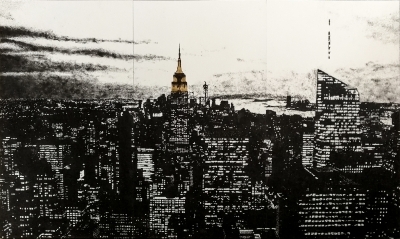 Contemporary artists Tim Bengel, Niclas Castelo, Autumn de Forest and Marc Gumpinger will be participating within HG Contemporary booth. Additionally, a special sculpture installation by Laura Kimpton will be on the fairgrounds. Artwork from Tim Bengel, Laura Kimpton, Franz Klainsek and Olga Tobreluts will be included in the weeklong art installation. Additionally, HG Contemporary will be hosting a late night dinner on Tuesday evening after the opening festivities for Art Miami. Santiago Rumney Guggenheim will be co-managing the week’s events within Lemon City Studios. HG Contemporary and Lemon City Studios will be open between the hours of 12pm - 10pm by appointment. For more information, please contact Santiago at srg@hgcontemporary.com.